Our Southern Asian Hydrangea is a special classic with an abundance flowers with vibrant colours presented in a stylish pot. This is a marvellous gift that is perfect for all occasions. Hydrangeas are easy to keep and enjoy being indoors and like the outdoors during the autumn months. 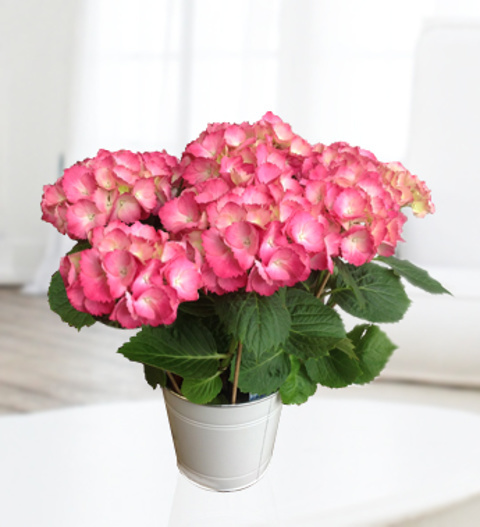 The hydrangea plant is available for UK next day delivery and comes with a FREE box of Belgian chocolates. Chocolates may contain nuts.